Our vision, through this grassroots effort, is to show how many people’s lives are related, connected and, most importantly, dependent on agriculture. Our goal is to illustrate just how massive the fraternity of Ag really is, as well as educate and inform the public with articles, stories, images and more, directly from the farmers, ranchers and other agricultural support businesses, whose daily lives – and livelihoods – are affected every day by agriculture in this country. We started with our Facebook group in May of 2016, which in the matter of just a few weeks grew to over 20,000 members (we have grown to over 65,000 members as of October 2016), and we began by sharing our stories about how “our jobs depend on ag”. By putting a face with entire agriculture industry chain, we hope the impact of agriculture will be recognized by not just political leaders, but consumers as well. This would make a huge difference to the farmers of California. We have “My Job Depends on Ag” decals you can purchase on our Merchandise page, to further help get the word out, show our solidarity, and eventually fund our scholarships & other educational efforts. The support for our efforts has been tremendous, and we encourage you to like our Facebook page and tell your stories along with us. Help us spread the word about how everyone depends on ag, whether they think so or not. Steve Malanca has been in the retail farm equipment business for over 30 years. He currently works for Mac’s Equipment located in Kerman, Ca. 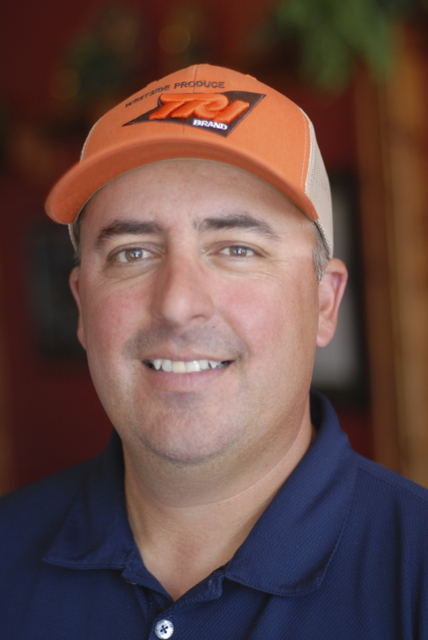 His experience in farm equipment sales has been in Western Fresno and Merced counties. He’s the third generation of the Malanca family raised in the small Ag community of Firebaugh. In the fall of 2013, he along with the help of the Westland’s Water District and the California Water Coalitions created a video to show the importance of water and the number of jobs, and people affected by the disappearance of surface water deliveries in Central California. When not up to his elbows in dirt, he enjoys playing golf, supporting Fresno State football, and it‘s said that he can grill a pretty darn good rack of ribs! He currently lives in Fresno with his wife, LuAnn. I remember, many years ago, trying to steer an old bike down a dusty road, my fishing rod in one hand and tackling box in the other. When I finally made it to the canal to fish I sat by myself, and realized I was envious of my friends we were visiting. This wasn’t my home; I lived in the city. My dad wasn’t a farmer, and his dad wasn’t a farmer, but I fell in love with Ag that day. Although I was, at the time, without a row to hoe, I find myself now, 32 years later, farming and owning a custom agricultural spraying business. Exactly how this happened, how I went from the city to the farm, makes me a unique advocate for Ag today. It seems now that somehow every job I had was preparing me for a time to be an advocate for Ag. In my late teenage years I went to work for Save Mart, which provided me with an opportunity to see the jobs created by agriculture in the final step before food is consumed. From there, I went to work as a temporary employee for Georgia Pacific, where I literally saw thousands upon thousands of produce boxes created and all of the jobs created by agriculture for that industry. My next employment was at a nursery, which gave me insight into another valuable agricultural industry. Finally, I worked three years as a gardener/landscaper. During this time, almost all of our customers worked in an ag-related field. As fate would have it, I fell in love with my wife. When we married, I was still working as a gardener and she was finishing her degree at Fresno State. Her father called us over one evening and offered me an opportunity to work on his ranch. The deal was that if (and that was a BIG if) I could survive working as a field laborer, I could, after many years, possibly farm some ground on my own. The opportunity was worth the gamble. I took it, excited for the future, but soon realized I was going to have to earn it all…nothing was going to be handed to me, and I was going to receive no special treatment. For years, I worked side by side with my father-in-law’s other employees, “learning by doing” all of the things it takes to be a successful farmer. About three years later, my chance finally came to rent 50 acres from my father-in-law and farm my very first field on my own. After that I found a couple of other fields to rent and, since 2000, have grown cotton, alfalfa, cantaloupes, fresh market tomatoes, honeydews, teff grass, radish for seed, and beardless wheat. But the chance to farm more ground came to end when nearly half of my father in laws ranch was sold. So I needed to find something else to do. I took the money I saved from farming and mortgaged my house to start a custom spraying business, and I’m still doing that today. Although my first love is to farm, and I will continue to farm whenever possible, I am also very thankful for my work in spraying. My spraying business has introduced to me to the men and women of agriculture. I like to refer to them as the All-Stars of Ag. Those that are still farming truly represent the best of the best that has ever been. And now I am writing a bio for a website directed at telling the stories of ALL the fine men and women whose jobs depend on agriculture. I pray that through My Job Depends on Ag, we can help everyone to appreciate the people who bring food to our table and put clothes on our back. I’m Erik Wilson, I am living the American Dream…..and My Job Depends on Ag! Bianca Echeveste arrived in the small town of Firebaugh in the fall of 1989 just after the Loma Prieta earthquake. She grew up in the Bay Area, North Richmond, to be precise and welcomed the change to small town living far from the fast paced life of the inner city. In 1991, she began working at Leku-Ona Basque Restaurant where she would meet her husband of 23 years, Roman Echeveste. With Roman’s parents at the helm, Ramon and Cecilia Echeveste, the family worked together to build the restaurant business over the next 15 years while simultaneously continuing to operate their livestock (sheep) business and eventually ventured into farming, and real estate. In 2006, Ramon fell ill and the family decided that closing the restaurant was the only option that would allow more time freedom to meet the demands of four growing children and ailing family. It was in that restaurant that Bianca was first exposed to the challenges the farmers faced on a day to day basis. As she poured their coffee, ice tea, and served their meals, they poured their hearts out about the latest injustice at the hands of politicians and stifling regulations. Over the last 10 years Bianca has focused on self-development and growing her online travel agency, Echeveste’s Great Escape Travel, which she opened in 2007. 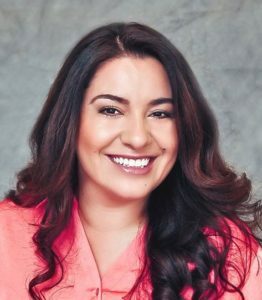 As a best-selling author, speaker, life and business coach she saw her travel business soar while the family’s sheep and farming operations, like many others on the Westside, have been hard hit by the California water crisis. When the opportunity presented itself to provide administrative support and rally behind Co-Founders, Steve Malanca and Erik Wilson, she was ready to serve. Bianca’s expertise in relationship marketing, leadership, and team building skills along with her years of experience in online sales and marketing make her a great addition to the My Job Depends on AG team. 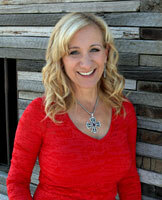 Theresa owns and manages the boutique marketing agency Cowgirl Media and is based out of Lewiston, Idaho. Her main focus is, and always has been, the equestrian, ranching & farming communities. Here, she is able to combine her passion for horses, agriculture and the western way of life with her love for anything creative into a satisfying career. Theresa has lived and/or worked in and around agriculture a good portion of her life. She grew up horseback, has bred and trained horses, run barns and day-worked on cattle ranches. She has been self-employed the majority of her life, and brings her vast business know-how and knowledge of the agricultural world, to help her clients define their brand, create an effective online presence, get found online and grow their business. She is passionate about agriculture and maintaining the lifestyle and she strives to help other agricultural and rural professionals preserve their legacy to pass on to the next generation. 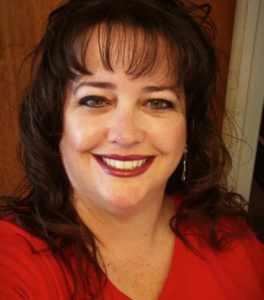 To find out more about Theresa and see some of her work, visit her website at https://cowgirl-media.com. Jaryn has been working at his immediate family’s agricultural business (Double G Farms, L.P.) since he was just seven years old. He has learned some of the inside (creating documents, spreadsheets, databases, and if needed, perform the weekly payroll) and outside by learning what his parents do on a daily basis and what his grandparents have done for many years. His immediate family’s sister company, Live Oak Farms that is also located in Le Grand, CA, has farmed the rich soil of the San Joaquin Valley since 1929. The company derived its name from the company’s first packing house, which was simply underneath a live, oak tree in Merced County. Live Oak Farms is a fourth generation family farm and is still running strong today growing fresh tomatoes, bell peppers, almonds, and a host of other crops in California’s San Joaquin Valley and Santa Clara County. While in high school, Jaryn enrolled in the National FFA Organization under the Le Grand FFA Chapter. Being passionate about agriculture and technology, it drove him into developing an exquisite website (legrandffa.org) for his FFA chapter. Teaching himself HTML & CSS coding, he led his team in acquiring the 2017 & 2018 California State FFA Web Development Award. After leaving a legacy, he became the designated Webmaster of his chapter and oversees SEO analytics, Page View Analytics, along with members within his chapter who will publish new content onto the website he had established. In his mid-stages of developing his FFA Chapter website, he had also built a mobile application for the chapter, but due to financial reasoning within the chapter, he had to discontinue it. Although, with him obtaining skills in mobile application developing, he reached out to our Cofounder, Erik Wilson. After consulting with Erik, Jaryn broke ground for the MJDOA (My Job Depends on Ag.) mobile application in early April 2016. 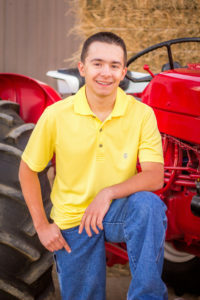 His work in communicating the importance of agriculture earned him the 2018 California State FFA Ag. Communications Proficiency Award. Additionally, he was also declared a 2018 National FFA Ag. Communications Proficiency Finalist. He was proud to wear the blue and gold, and continues to spread the importance of agriculture throughout his everyday life. I was born and raised in Fresno County. The first home I knew as a child was built upon farm land near Chestnut & Belmont avenues. What today is long separated from any farming region. In 1977, my family moved to a parcel of land within the Sanger Unified School district. My father planted and harvested oat hay upon this land, and I became active in the Sanger FFA Chapter. I participated in tree pruning, cotton judging, raising beef cattle and poultry thanks to FFA. The greatest gift that I received from the Ag education, was the ability to learn welding, fabrication, and small engine repair. I also met my sweetheart and future wife Janet Golden while attending Sanger High School back in 1981 (she is a dang good mechanic and welder as well, thanks to the Ag classes we shared!) The skills learned from small engines, led me into the heavy diesel repair job I was blessed to have at Fresno Truck Center for seventeen years. In 2007, Janet and I decided to break away from the security of an 8 hour time clock day, and pursue our own business. Today, we service both Ag and domestic customers with mechanical repair issues. We are a mobile repair company, that service customers in central California, and parts of Nevada. Having lived in the Bay Area of California until I was 13 I was blessed to have the city side of myself grounded with developing my rural side at family gatherings. My mother was raised in Yosemite & visiting my grandparents who lived on the valley floor of the park left me with a deep, continuing love & respect for the glory & grandeur of nature. My father was raised in Bailey Flats of Mariposa where his family, among other things, made their living as an egg ranch. As a child the simple chores of collecting eggs, pulling grass damp & cold with dew for the rabbits, helping feed, milk & many other joys of being a child in a rural area drove my love of Agriculture & country living deep within. At 13, I moved to Fresno & have slowly become more rural as the years have passed. Joining 4H, then FFA, participating in livestock shows (beef & poultry), teams such as cotton judging, small engine repair & tree pruning rounded out more AG experiences for me. Having never been too shy about tackling different types of jobs I am a Girl Friday with experiences from sorting & selling tomatoes, pruning grapevines or working a shaker table. Any given day may find me helping my husband with a repair job on a ranch, working a branding ground crew, assisting in cooking for groups, climbing a windmill to check cattle water, caring for a menagerie of orphaned, abandoned, injured or otherwise unwanted critters or office/bookkeeping/computer work for other Jobs that Depend on AG. Opening doors for knowledge has always been a special passion. I was a preschool teacher for 10 years, taught for the Fresno Zoo kids camps & Adult ESL. Seeing that “light bulb moment” happen or the joy of a new experience never gets old. I feel it is a special privilege of opening those doors of knowledge through MJDOA. Being able to share with others a peek into the rural lifestyle only few have first hand experience with. The truth & passion of the how, the why. The deep roots of history & heritage. The common bond of agriculture is a strong bond, it creates a family & a brotherhood. Living, working, having people I can call friends, within this community, being able to share this with others, is a humbling honor. Hi!! 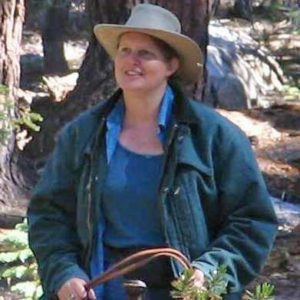 I am Lorna Schultz Roush and I am one of the admins for My Job Depends On Ag. 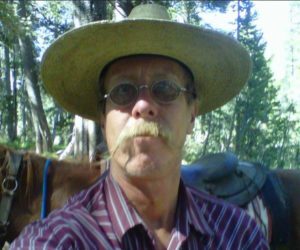 I am 5th generation farmer in Burrel, CA, 30 miles south of Fresno, CA. I am married to my high school sweetheart, Chris, for 24 years. I have a son and a daughter. My son, Keith (6th generation), is married and has 2 sons of his own, making the 7th generation on the ranch. He works in the shop keeping the flow going. My daughter, Samantha, is heading to Fresno State this fall majoring in Ag Education. I graduated from Fresno State in 1998 with an Ag Business degree and showed on the Western Pleasure Team while I was there. I have worked for an organic farm, a chemical company, and an accountant. Now I am full time as my mom was ready to retire a few years ago. Our family farm has been in operation since 1886 on the same land. We have evolved through many crops, depending on weather patterns and modernization. We now have almonds, wine grapes and pistachios. I take care of the office, legal, accounting, safety, etc. But my favorite part is riding around with my 6 big dogs checking fields, leaving my 3 little dogs at home. Yes I have 9 dogs! Farming is my passion. When I joined MJDOA, I felt like I found my place. I have learned something new every day. I enjoy all of the members, but especially the friends that I have made through our page. I have so much respect for all of the members as each and every person have a story to tell. I will tell my story on the website soon. I hope for you to do the same. Go Dogs!! Go Ag!! Eric is a third-generation family farmer in Tulare County. His family moved from Southern California in the 1950’s and began purchasing land for crop development. The family has farmed wheat, cotton, peaches, plums, olives and citrus and currently operates under the Bream Family Farms name. 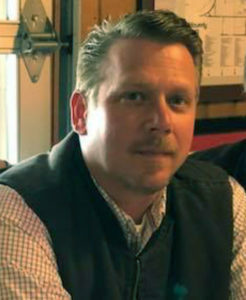 As president of the family’s operation, Eric is responsible for all farming and business activities. He also provides outside farm management and commercial Ag services with a focus on keeping the smaller family farm viable in the future. Eric returned to the family farm in 2014 after a long career with the California Department of Corrections and Rehabilitation. In 2011, he finished a degree in Business Management after a 20-year break. 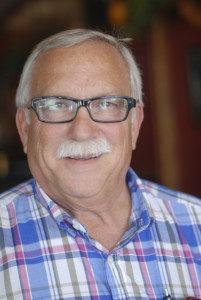 He is active in his community and is involved in several advocacy roles for agriculture, including as an alumnus of the California Agricultural Leadership Program – Class 48. Eric and his wife Mary have been married for 27 years. They live in Visalia California, where Mary serves as Postmaster. Their son Chandler recently graduated from Fresno State University and works for Medallion Supply in Visalia.